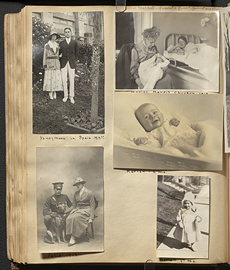 Wilder Penfield photo album 1919-1927, page 95. 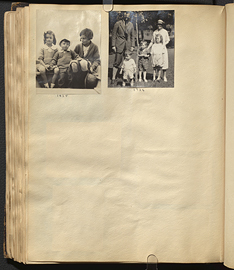 Wilder Penfield photo album 1919-1927, page 97. 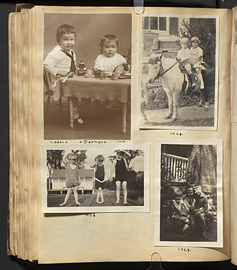 Wilder Penfield photo album 1919-1927, page 99. 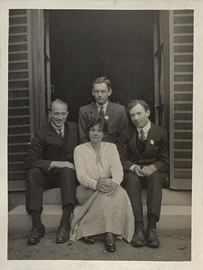 Wilder Penfield sitting on steps with Dolly Paradise, Scott Paradise, and Val Havens, photograph. 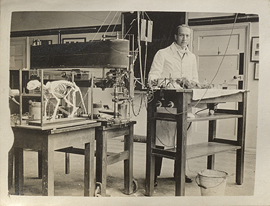 Wilder Penfield standing in Sir Charles Sherrington's laboratory, prepared to take his final exams, photograph. 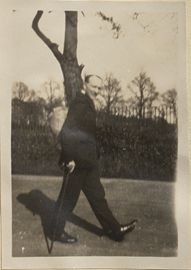 Wilder Penfield walking with a cane. 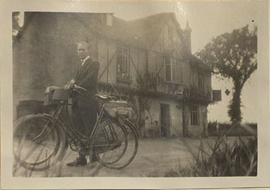 Wilder Penfield with Bicycle at Lambert Arms, photograph. 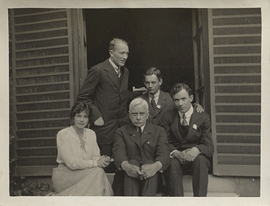 Wilder Penfield with Reverend Paradise, Dolly Paradise, Scott Paradise, and Val Havens(?) 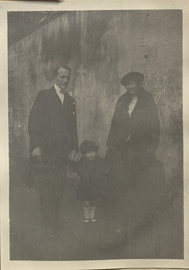 in doorway, photograph. 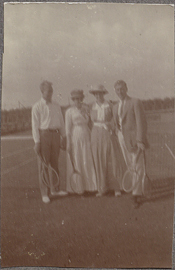 Wilder Penfield, Mrs. Howell, Sylvia Howell, and Bronner standing on a tennis court with rackets (sepia), photograph. 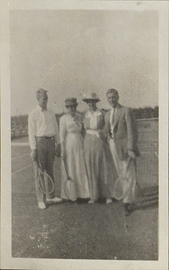 Wilder Penfield, Mrs. Howell, Sylvia Howell, and Bronner standing on a tennis court with rackets, photograph. 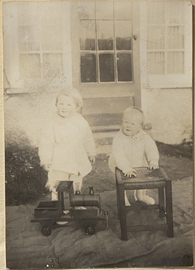 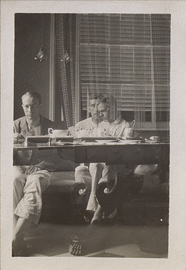 Wilder Penfield, Wilder Penfield Jr., Helen Kermott Penfield, photograph. 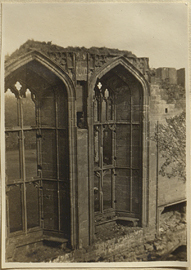 Windows in the Great Tower, photograph. 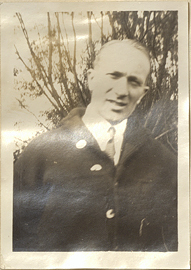 Winifred Greenfield, Lewis Greenfield, photograph.